Tips on maximising your LinkedIn profile, photos from a professional photographer and a number of competitions will be held on the day. LinkedIn is the world’s largest professional network and the most valuable site when it comes to all things careers. Utilising the platform is one thing, but using it to its absolute maximum is entirely different. LinkedIn’s ‘Rock Your Profile’ is designed to give you the proper guidelines to follow in order to make the most of your profile. The Agri Careers Expo will give you the chance to speak directly to LinkedIn ambassadors on how to achieve this. They will analyse your page and inform you on what improvements can be made. By the end of the one-to-one tutorial, your page will be a well-rounded page that will reach employers across the industry. If that isn’t enough, LinkedIn will also be speaking in the Career Development Hub on how to make the best use of your profile. When you leave the event, we want your profile to be as good as any on the site. Similar to other years, we will have a photographer there on the day, who will take a professional headshot. The headshot will be sent to you via email after the event. The professional photograph can be used on a CV or on a social platform such as LinkedIn. There is no need to pre-register, just turn up and smile. For school goers, a guidance counsellor will be there on the day, to provide one-to-one assistance to school students on options they can take after school. And if you are not a schoolgoer but want a change of career, this area may provide you with vital information on what third level education to pursue. Drake is playing in Dublin’s 3Arena in March and we have a pair of Drake tickets worth €300 to give away on the day of the event. Competitions details to be confirmed, but stay tuned to agricareers.ie and our Agri Careers Twitter page for more details. 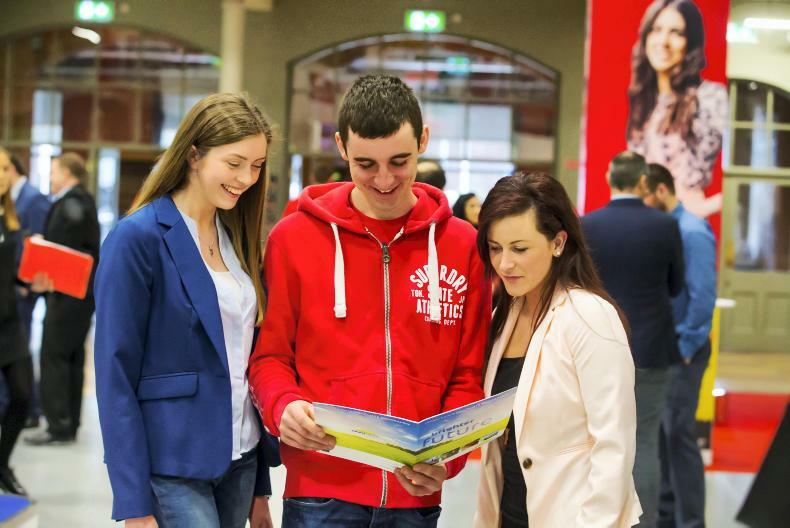 Win €1,000 cash at Agri Careers. All you have to do is purchase a digital subscription to the Irish Farmers Journal for just €7.99 p/mth (normally €14.99 p/mth) and you will be entered into a draw on the day to win €1,000. • The latest industry news and discussion on career opportunities in the sector. • Job vacancies from some of Ireland’s largest agri employers. • CV advice and interview preparation tips. • Guide to third level education in Ireland. There will be an area at the back of our Schools Zone designated purely for having the craic. We will have a PlayStation set up with the farming simulator game and this area will give students the chance to relax amid the fast pace of the main hall. Tune in to our Agri Careers livestream at 11am and 1.30pm on the day, featuring a panel of experts and last-minute study advice. You can send any career questions you have on what to study or how to get hired in the ag sector to our Irish Farmers Journal Facebook account now!